Round Top and the surrounding shows are in full swing! I've made the trip three times already and will head to Marburger later this week before it ends. 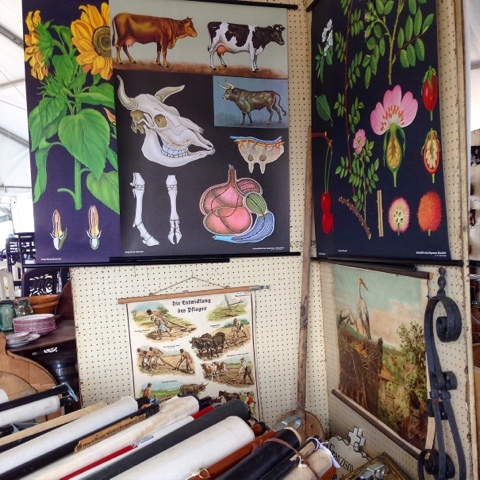 As a Houston "local" and seasoned flea market shopper, I hit the shows with a wish list of items for myself and clients that I hope to find at a great price. Not one for strolling or lingering, I zig and zag my way down highway 237 fitting in as many stops as I can in a day. I have to say I'm beginning to notice a rising number of imports and costumey cowgirl clothes dealers that give some areas a tacky tourist feel. I guess there's room for all and there's certainly hundreds of antiques dealers all over the shows, but in some areas they're harder to find. I've pulled together some iphone icandy pics for you of my favorite finds and friends that I've visited so far. 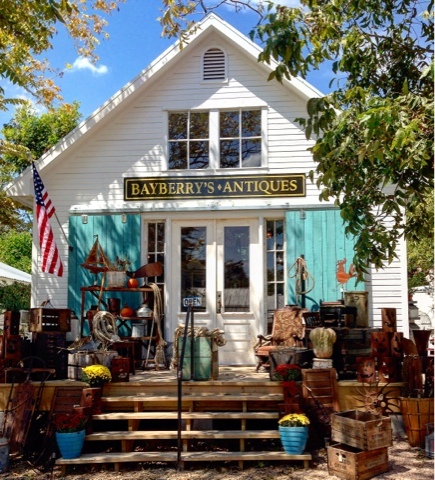 Driving in from Houston, my first stop on the way to Round Top was at Bayberry's Antiques, located at 12408 E. Texas St., in Burton Texas. 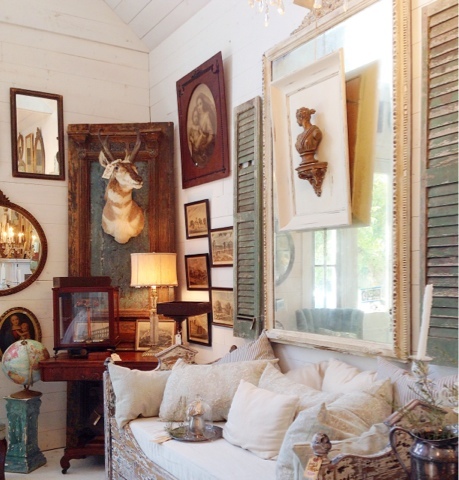 Shelby and Joel built this adorable shop recently themselves and it's filled with fun vintage vignette's and antiques at great prices. Really really good prices! 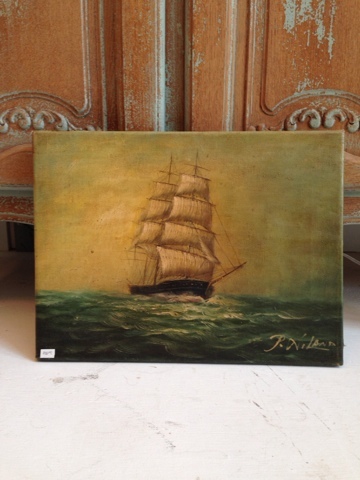 I picked up this oil painting and a few other pieces for a client's bath. Also in Burton, a nice visit with friends at Old Glory Antiques. One of my absolute favorites. 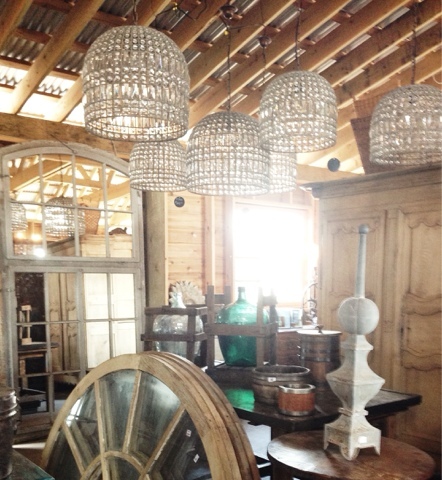 This shop is in an old Texas dance hall and filled with country antiques. Again, great prices. My husband even remarked that Holly's prices didn't have enough 0's in them. 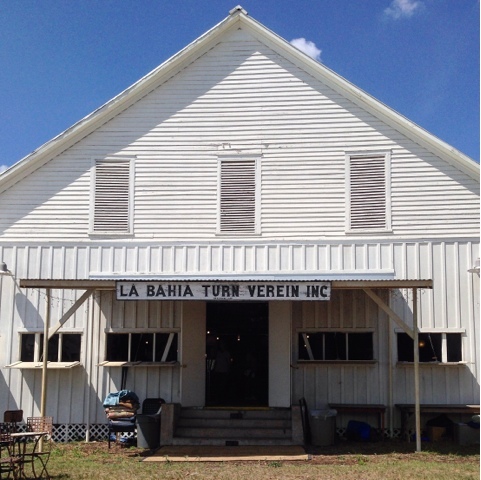 Another favorite show is La Bahia just before you get to Round Top. 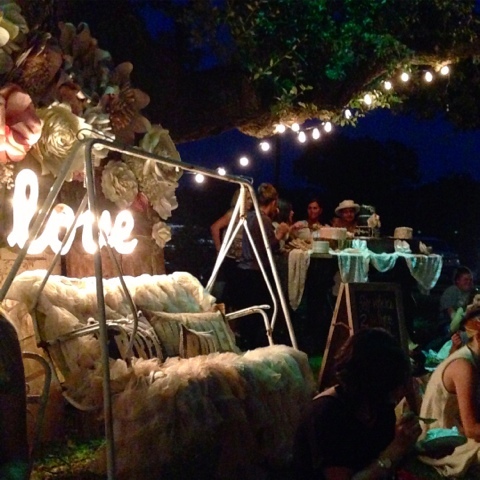 This show is also held indoors in an old Texas dance hall with outdoor vendors as well. Good stuff here. 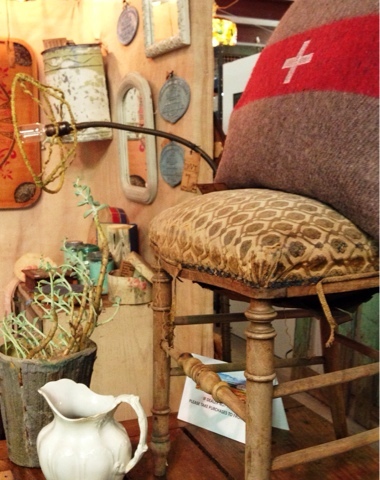 The Blue Hills show is always good and is a favorite with designers. Keep an eye out for bargains! 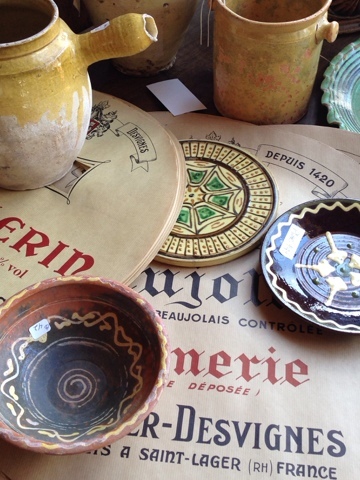 I found these old french wind barrel labels for $2 at French by Design. 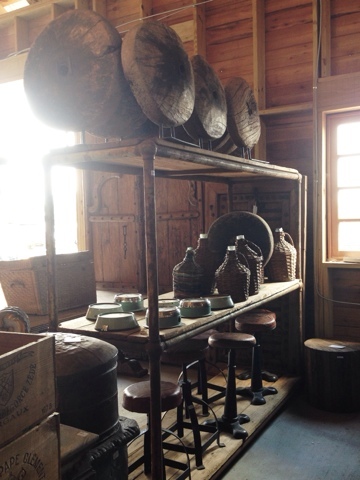 I love the work Cooper Meaders of Houston is doing with reclaimed and salvaged materials at ReCoop Designs. 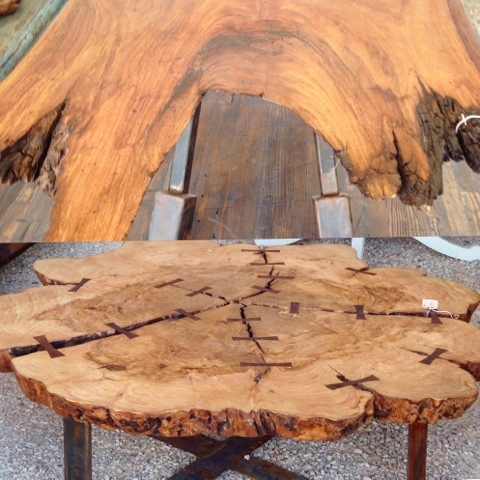 Crushing hard on these coffee tables. I bought a piece of art that I'll share with you in an upcoming post. He's very talented. 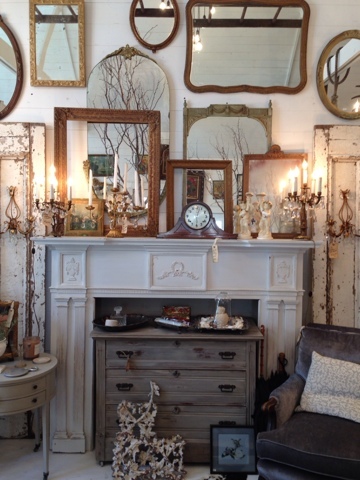 Lark in Round Top is a fantastic lifestyle store carrying gifts, jewelry and books. 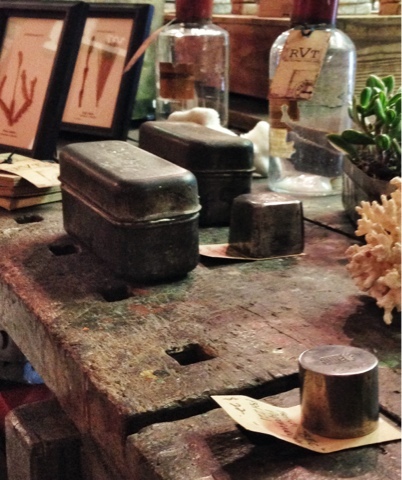 Their artful styling sure caught my eye. 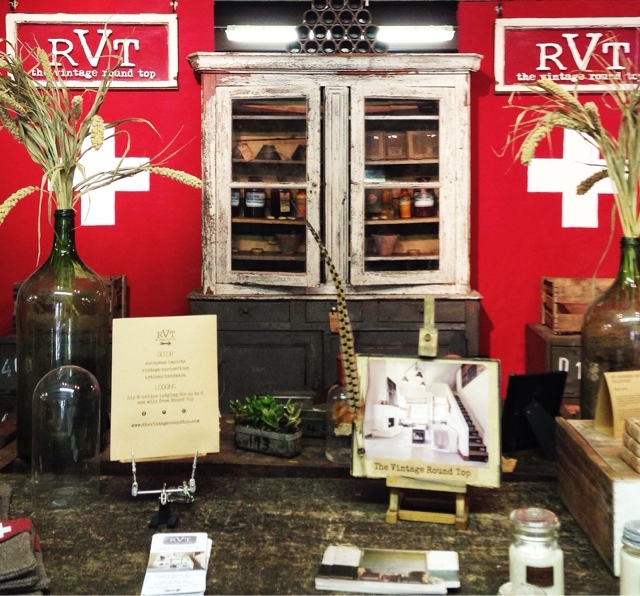 The Hulls of The Vintage Round Top have done it again with a reimagined space at the Round Top Vintage Market with lots of new finds from their recent trip to France. 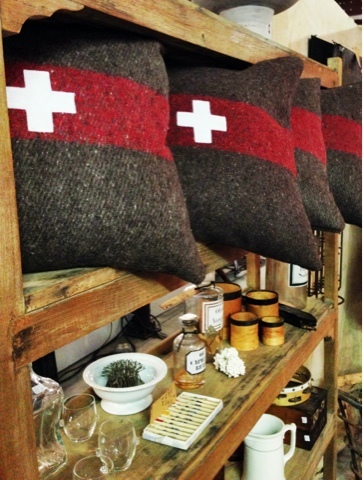 They also have a new shipment of accessories from their Swiss Army collection. Part of Round Top's new growth includes a 57 acre property known as The Compound which you can read about here. 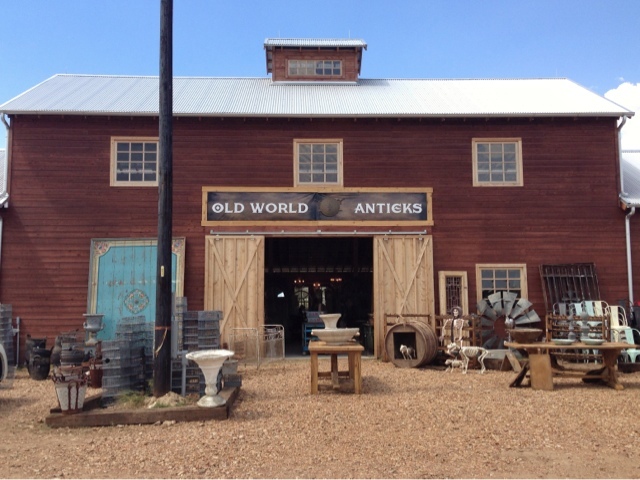 I didn't get to visit all the buildings but did pop in the beautiful Old World Antieks. Saturday night we stopped by Leftovers Antiques in Brenham Tx., for their Jazz night and book signings with Rachel Ashwell and Mary Emmerling. Both of these ladies love Round Top and Texas as much as we do and it's great to get to visit with them during the shows. One of the most special evenings was spent with like minded creatives, sisters, dreamers and makers. 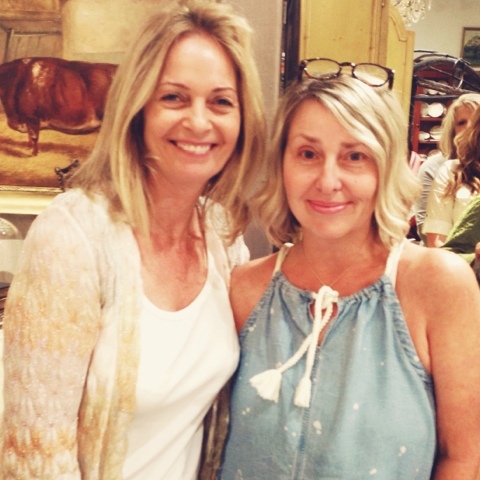 Tara, owner of Royers Pie Haven in Round Top put together a beautiful Christian event that kicked off antiques week with speakers, music and pie. Thank you Tara for all that you do. There's more to see and share as the week goes by. 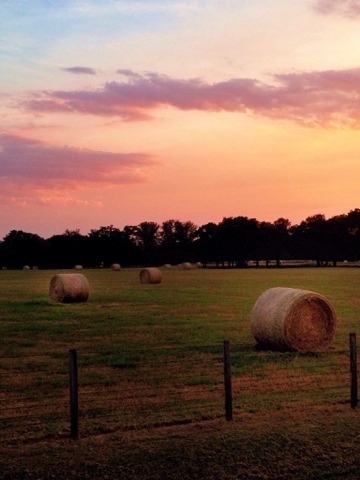 I'm looking forward to Marburger later this week and more Texas country sunsets like this. Follow me on Instagram for up to the minute reporting from the fields and beyond ! I'm going to assume that like me, until recently, you've never heard of Burton, Texas. I would love to introduce you! Burton lies just off Hwy 290 between Houston and Austin. 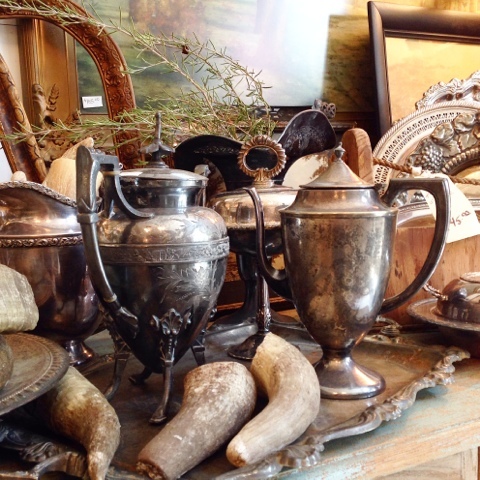 But what you'll want to take note of is that Burton is just 9 miles from Round Top, Texas, so if you're planning to go to the Antiques Week shows (we sometimes just call it Round Top) which are coming up fast, you'll want to add Burton to your itinerary. Burton is full of good, old fashioned authentic American charm. It's quiet, very small with a population of approx. 350, and cute! This is The Nesting Co., an adorable florist that carries home decor. 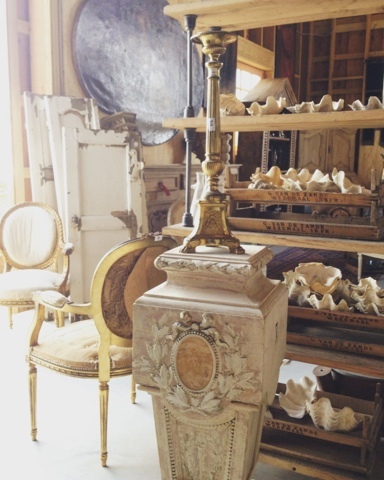 One of the highlights of my summer has been working in Burton on a project with my dear friend, Holly Mathis, at Old Glory Antiques. 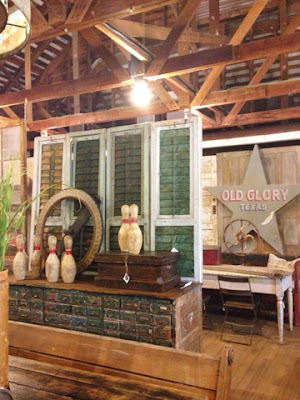 Shop owner, Holly Kuhn, opens Old Glory Antiques each spring and fall in an old Texas dance hall, during Antiques Week and fills the shop with fresh americana. AND at great prices!!! She's got such an eye for choosing interesting pieces of furniture and accessories that would make a room special...give it that nicely collected or curated feel. 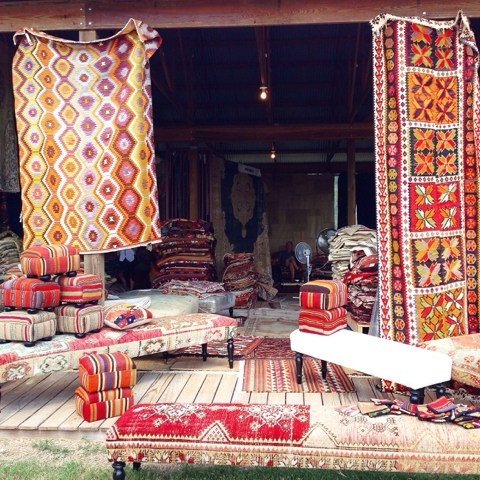 This is the kind of store I would take a client and just know we would find something unique for their home. The green cabinet on the right would make a fab media cabinet. And the indigo chair...sigh...so good! 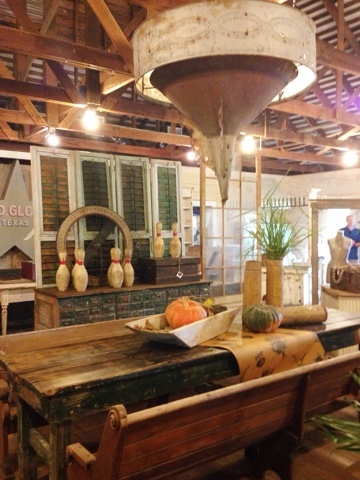 The store will soon be open daily Sept. 26th thru Oct 4th during Antiques Week. 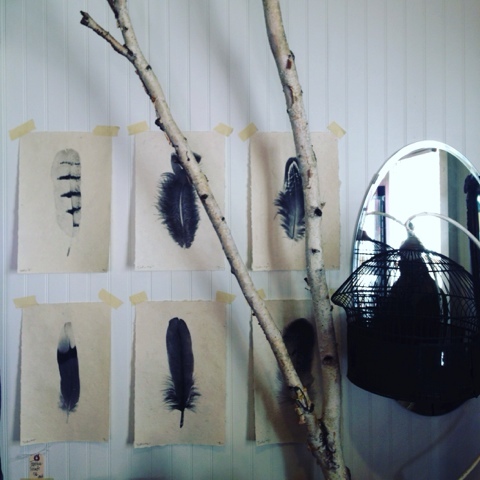 I hope you'll visit Holly Kuhn at Old Glory in Burton. And stay tuned for more exciting news from Old Glory this fall. 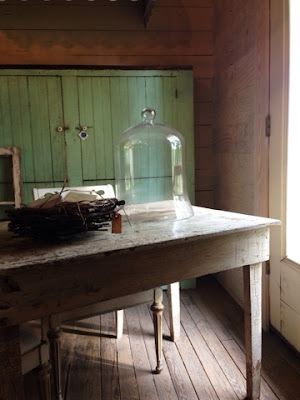 Country Living heard about the project and paid a visit recently so you'll want to visit before the rest of the decorating world comes and buys all the good stuff!